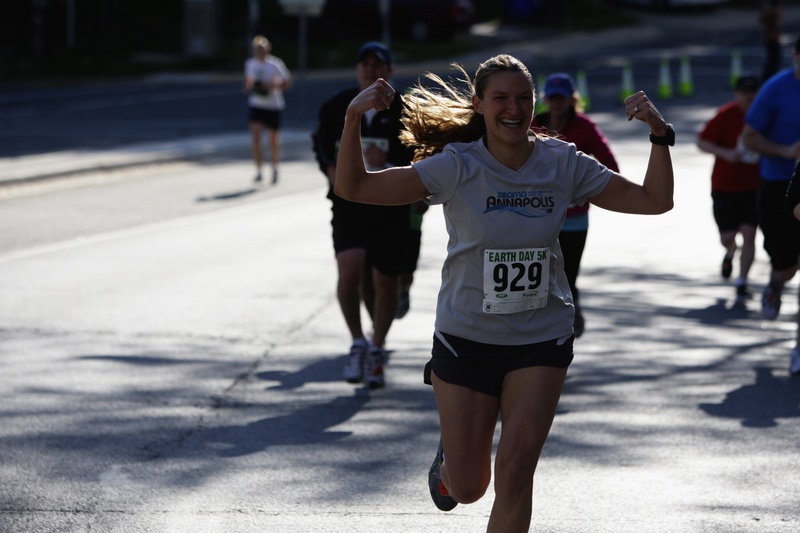 Ever since I got back into swimming in 2008, I’ve been intrigued by the idea of participating in a triathlon relay with some of my running buddies. It was my answer to the natural question that arises when I mention I participate in endurance events involving running and swimming: Oh, so you’re a triathlete? Longer answer involves my bike making my hip cranky, and me being unwilling to spring for a reasonable, good-fitting bike to solve that problem. Longer answer also involves my being about as interested in cycling as in squash, and in it feeling really arbitrary to take up a sport just to participate in a certain kind of event. … but I don’t bike. I’m proud to announce that I’m participating in the Luray International Triathlon at 8 a.m. Aug. 13 in Luray, Va., with two of my favorite running girlfriends—one of whom is bravely taking up the bike! Guys, I am SO excited about this! The swim portion is 1,500 meters—not even a mile—in a lake. Easy-peasy. At least it *would* be easy-peasy, if I weren’t part of a team of fit, motivated ladies who are totally inspiring me to try to swim it quickly, or at least as quickly as I can. Here’s how this race will push me out of my comfort zone: I’m a terrible freestyle sprinter. In high school, I once clocked a 50 freestyle split during a 200 IM that was *slower* than my preceding 50 breaststroke split (It was a pretty darn fast breaststroke split … but still). So to train, I’ll actually focus on short intervals during my tri-weekly 3,000-meter swim workouts, rather than the 1,000-meter reps I did while training for the Great Chesapeake Bay Swim. Our team name: The Killer Honey Badgers. Why? Because we’re fierce. If you’ve seen the viral YouTube video about the honey badger, you know exactly what I’m talking about. The video isn’t exactly work-appropriate, so I’m not going to embed it here. But if you’re at home, and aren’t offended by some bad language, check out this link. You’re welcome. 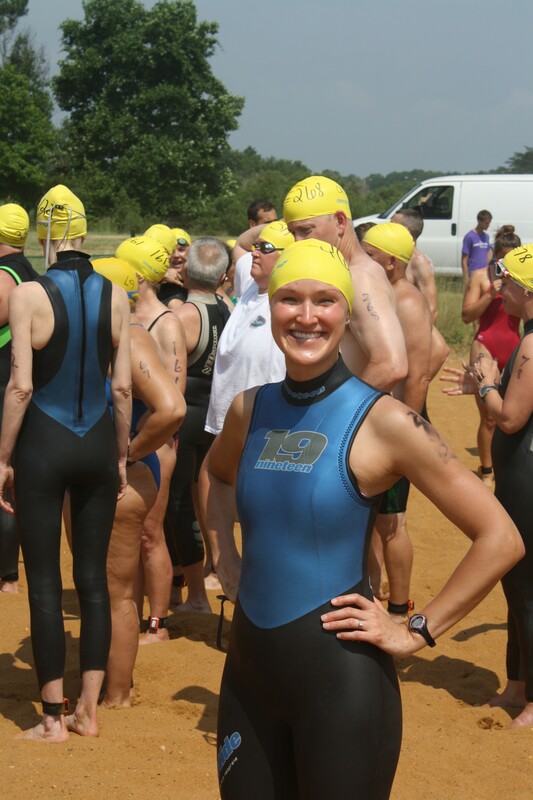 Have you done a triathlon relay, or participated in the swim portion of the Luray International Triathlon? If so, any and all advice would be appreciated! One of my favorite races was the now-defunct SPUD triathlon. My boyfriend at the time swam, my best friend’s husband biked, and I ran. It was the most fun race ever! Good luck, I know you’ll do the honey badgers throughout the world proud! this is awesome. you guys are going to have such a blast. I’m doing the Luray Double – looks like a great race! Maybe I’ll see you out there! I don’t tri either because of the bike thing — relays are a great way to enjoy the vibe and some competition! Have a great time.